Home to the state’s highest peaks and wildest spaces, Southwest Virginia is a wonderland for trail lovers, from hardened weekend warriors to casual day-hikers in search of a little fresh air. The region is overlaid with some of the country’s best-known trails—like the Virginia Creeper and the Appalachian Trail—in addition to countless regional footpaths in the massive Jefferson National Forest. You don’t have to look far to find amazing hiking opportunities that showcase tumbling waterfalls, cloud-puncturing peaks, and wild ponies grazing in upland meadows. 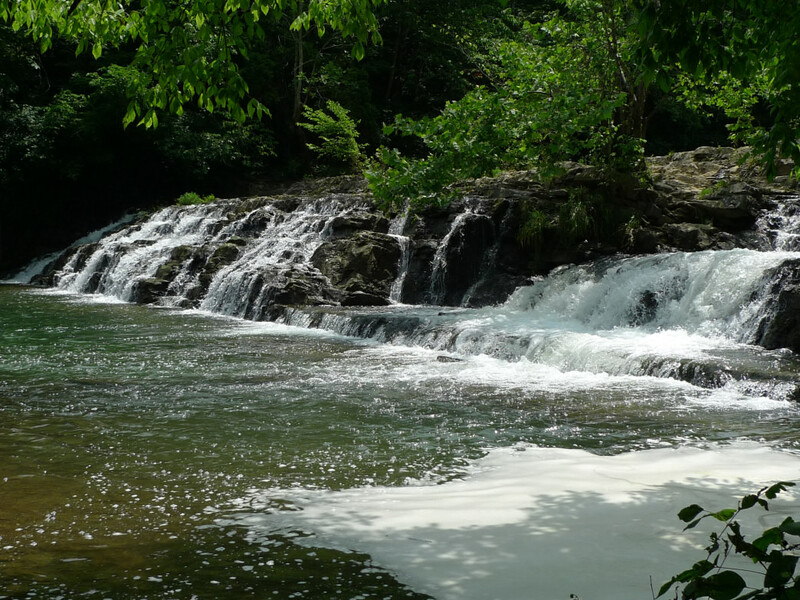 With pristine natural areas, federally designated wildernesses, and family-friendly state parks, there are plenty of awesome day hikes in Southwest Virginia, but these are a few of the best. Named for the animals that once roamed the highlands, Elk Garden features wind-swirled grasslands on Balsam Mountain, providing a picturesque snapshot of Southwest Virginia’s stunning portion of the Appalachian Trail. From the Elk Garden trailhead located along Whitetop Mountain Road (SR 600) just outside Konnarock, trekkers can embark on some of the most extensive tours of the stunning high country of Mount Rogers. 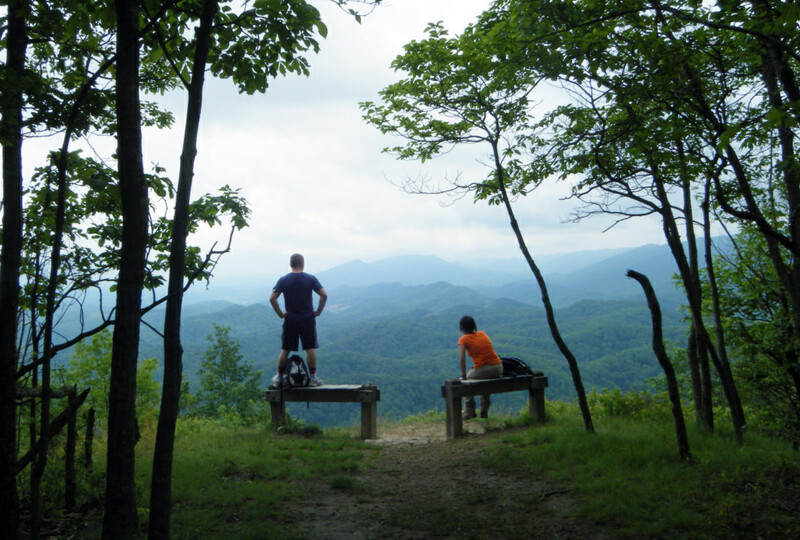 Or you can opt for short excursions, like the hike to Buzzard Rock. Straddling on one of the crests of Whitetop Mountain (the second highest peak in the state) Buzzard Rock offers views stretching all the way to Grandfather Mountain in North Carolina. 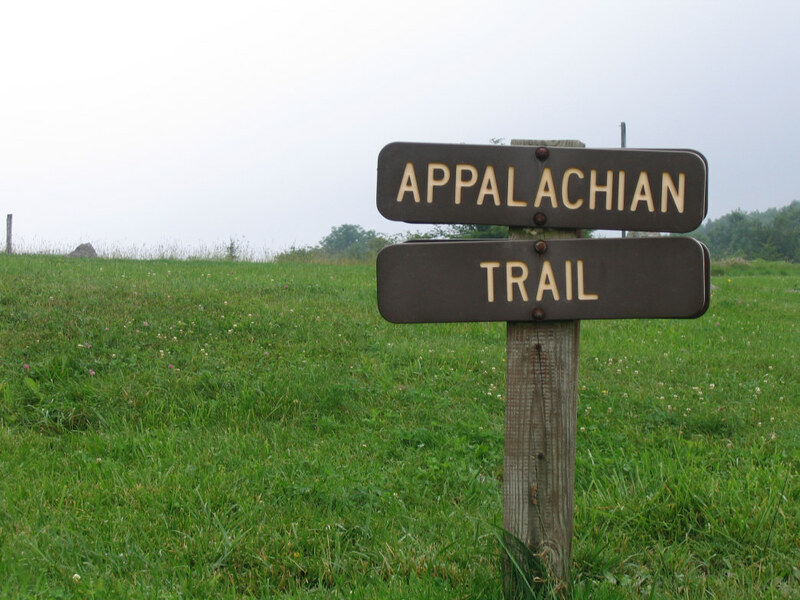 On the 6.6-mile, out-and-back hike to the rock jumble perched at 5,095 feet, trekkers are treated to a taste of high country scenery as the trail meanders through a leafy hardwood forest and over a natural southern Appalachian bald. Grayson Highlands State Park might be the most picturesque portal to the high country of Mount Rogers, but the pony-grazed recreation area is also stocked with scenic hiking loops for less ambitious trekkers—like the Cabin Creek Trail. The gradual, 1.9-mile circuit leads hikers through a forest of rosebay rhododendron, mountain laurel, and bigtooth aspens, a rarity in Southwest Virginia. For a spell, the trail parallels Cabin Creek, a hotspot for native trout, and ultimately leads hikers past the stream’s 25-foot twin cascade. All along the way, especially while heading to the trailhead from the parking area at Massie Gap, hikers have the chance to spot the park’s free-ranging wild ponies. 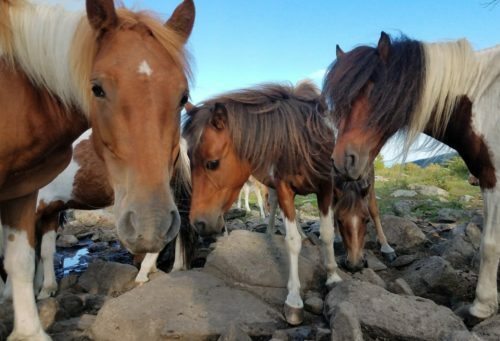 The wide-roaming herd of nearly 100 ponies roves both Grayson Highlands State Park and adjacent Mount Rogers National Recreation Area, and are regularly encountered on windswept Wilburn Ridge. The highest point in Hungry Mother State Park, Molly’s Knob is named for an early settler who perished from hunger on the slopes of the pinnacle. According to local lore, after fleeing a Native American raid on settlements near the New River, a pioneer by the name of Molly Marley starved to death while traveling through what is now Hungry Mother State Park. As the legend goes, the child Molly had in tow could utter only one phrase to rescuers—hungry mother. While the park’s name may be the result of the a tragic tale, today the hike to 3,270-foot Molly’s Knob leads hikers along the shore of 108-acre Hungry Mother Lake, through mixed forests peppered with Catawba and rosebay rhododendron, and along panoramic ridgelines. A loop through the park linking the Lake Loop, Molly’s Knob, Ridge, Civilian Conservation Corps (CCC) and Vista trails—including an ascent of Molly’s Knob—is an approximately 5 miles round-trip. For summer visitors, the hike has an added perk of ending with a refreshing dip in Hungry Mother Lake. One of the best kept secrets in Southwest Virginia is the High Knob Recreation Area, stashed away in the Jefferson National Forest, above the city of Norton. The lofty recreation area is endowed with a high-elevation lake, amenities constructed by the Civilian Conservation Corps, the loftiest campground in the region, and an observation tower offering views of five states. For hikers, the High Knob Recreation Area also has a number of options, including short strolls around the 4-acre lake, or longer hauls on the Chief Benge Scout Trail. Named for the Chicamauga warrior Chief Benge, son a Scottish trader who spent time living among the Cherokee, the 18.7-mile trail runs from the High Knob Recreation Area to the Hanging Rock Day Use Area near Dungannon, taking in highlights like tumbling falls of Stony and Bark Camp Lake. For a bite-sized taste of the distance trail, tackle the first 2.5 mile section skirting High Knob Lake and paralleling Mountain Fork stream. For detailed maps of the route, pick up National Geographic’s Trails Illustrated Map of the Clinch Ranger District, or refer to the series of section maps of Chief Benge Trail developed by High Lonesome Trails, a website created by the Southwest Virginia Citizen Science Initiative. Located between the towns of Cleveland and Lebanon in Russell County, the Pinnacle Natural Area Preserve might be compact, but the 776-acre protected area is loaded with natural wonders. Spread along the banks of Big Cedar Creek (recognized as a state scenic river), the natural area is punctuated with waterfalls, striking geological formations, and some the rarest plants on the planet, including rock-dwelling species like Canby’s mountain-lover and Carolina saxifrage, which live nestled in the craggy crevices of the preserve’s precipitous limestone cliffs. Aside from rare plants, eagle-eyed hikers can also spot plenty of unusual animals in the natural area, too, including hellbender salamanders, which can grow to be over two feet long, and Big Cedar Creek millipedes, which are only found in the preserve and a handful of nearby locations. Hikers can scope out the bulk of the preserve’s treasures—including Big Falls and the namesake "pinnacle," a dolomite spire soaring to almost 400 feet—with a short 3.25 mile trek along Big Cedar Creek to its confluence with the Clinch River, linking the Big Cedar Creek and Pinnacle View trails. If you’re looking for a base camp during your exploration of Southwest Virginia, the town of Abingdon is located at the epicenter of the area’s best trails. The western terminus of the Virginia Creeper Trail is downtown, while it’s a short drive to all the other major trails in the region. Plus you can enjoy abundance of lodging options, restaurants, theater, and all the other amenities you could need for a weekend getaway.